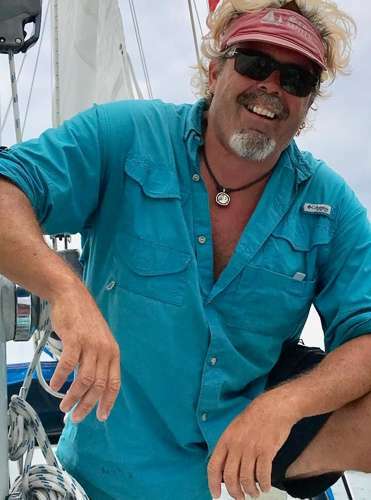 Captain John Stephenson, or "Cap" to those who sail with him, is a 20-year USCG Master 100-ton Mariner who is also an American Sailing Instructor. Cap works with additional crew members and caterers to meet the needs of guests aboard Sea Witch. His crew are all certified via the Standards of Training, Certification and Watchkeeping Program (STCW), which ensures your personal comfort and safety while aboard. Additionally, several crew mates hold USCG Captain Licenses as well. All mates aboard Sea Witch have several thousand ocean nautical miles' experience and enjoy swimming, sailing, and sharing their love of the islands with every sailor aboard Sea Witch.